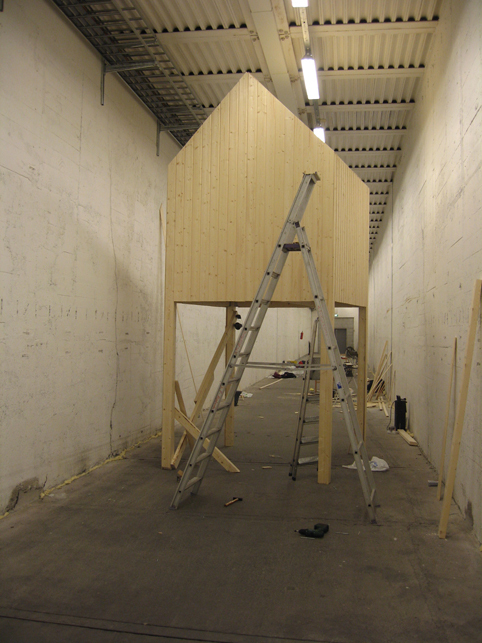 Installation made in collaboration with the poet Marte Huke, Torpedogangen, Dora, Trondheim 2008. 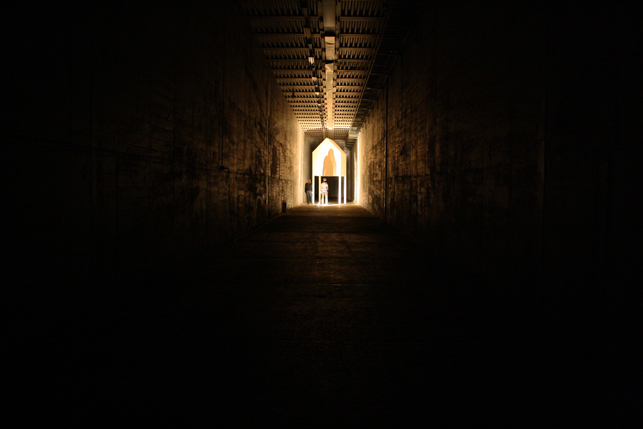 The installation Rør ved det som ikke kommer was made specifically for and was built on site in the former WWII German submarine base Dora in Trondheim. 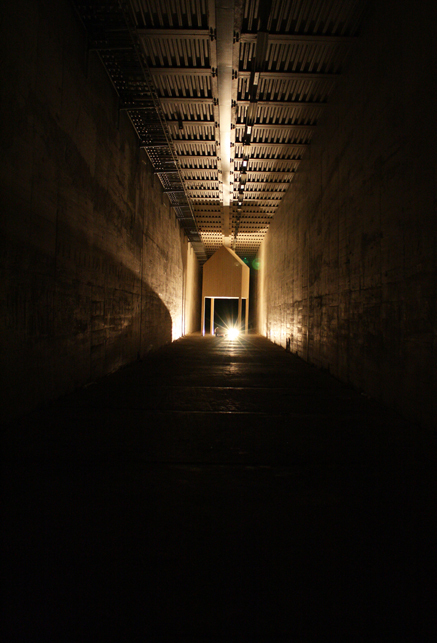 The installation was located in the torpedo concourse (torpedogangen). 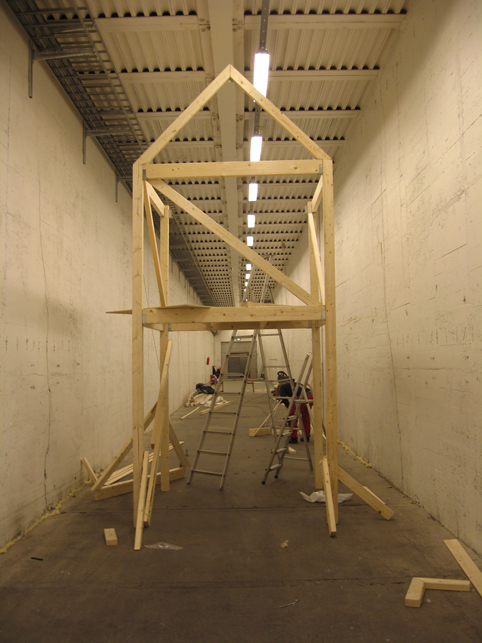 Rør ved det som ikke kommer consists of a sculpture-like construction shaped as a house. 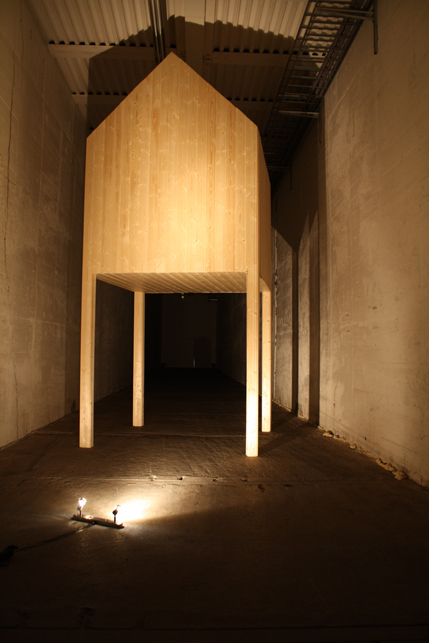 It is constructed from indoor spruce panelling, and stands on two meter high poles. 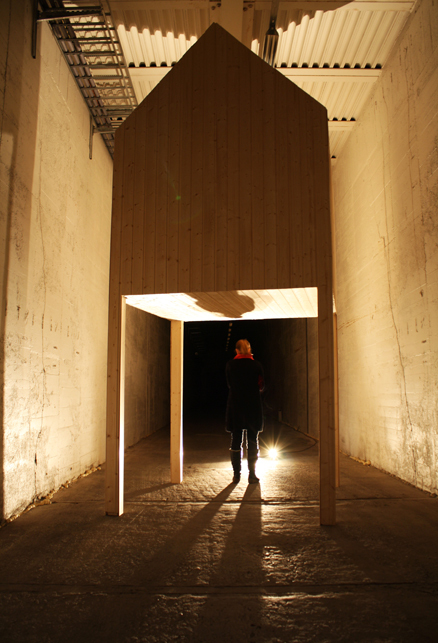 The wooden structure is placed about 50 meters into the total 80 meter long concourse. Marte Hukes poetic texts consisting of two bare voices was played via two loud speakers at the far end of the concourse. 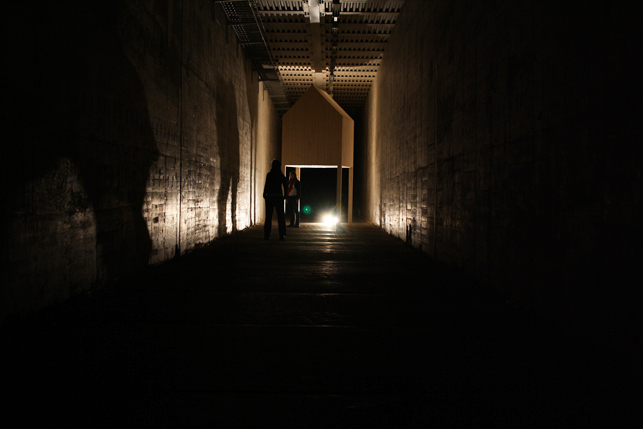 In this installation the massive concrete space has been darkened, and is only lit by one simple halogen spot on the floor near the sculpture. When entering the space the sound of Hukes texts are barely present, but leads the viewer further in towards the house, appearing golden from afar. 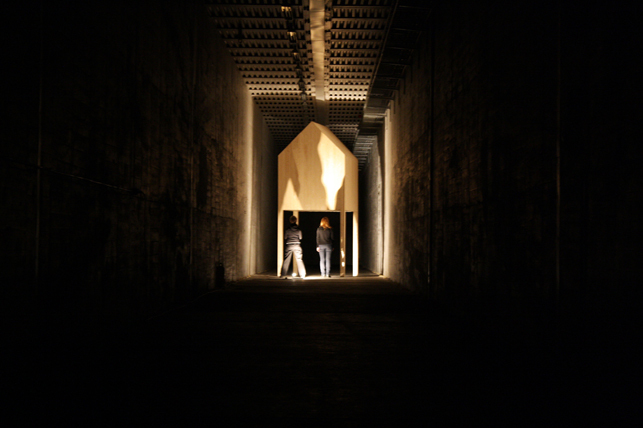 The presence of visitors is a vital part of the installation as they are casting shadows when passing the sculpture to walk further towards the audio, and their own shadow. 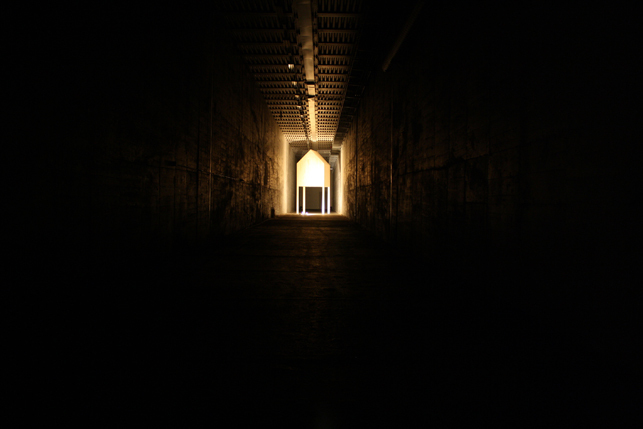 The installation has a clear on and off stage-like presence as you walk towards the light when entering, but towards pitch black darkness when leaving it.